Custom made D6 in the shape of a football. Order of the faces is 1, 4, 2, 6, 3, 5. 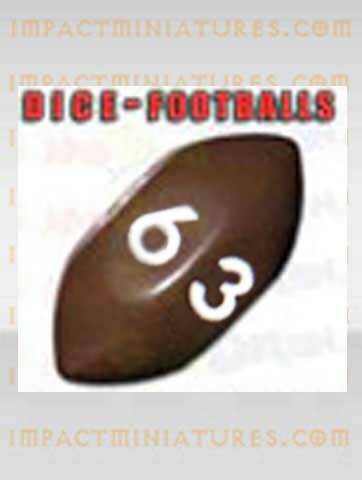 PLEASE NOTE ... as my wife has pointed out this D6 would look like a giant jellybean to a small child and its shape would make it much easier to swallow than a normal cubed D6 so this object should be considered a choking hazard and should definitely be kept away from small childern!